We started to reflect on a common characteristic of so many of the leaders of Baldrige Award-winning organizations and those on the performance excellence journey. They have a sincere sense of appreciation. They believe their employees are truly human resources. They are grateful to their customers for their business. While they have worked hard for their success, they also acknowledge the lucky breaks they have gotten along the way. I can almost hear some of you thinking, “It’s easy to be appreciative when you’re successful.” But many of these leaders have been through tough times. We feature several of them in our book*. Paul Worstell, retired CEO of PRO-TEC Coating Company (Baldrige Award small business recipient in 2007), went from 115 percent equipment utilization to less than 40 percent almost overnight. A similar precipitous situation faced Jordan Case, president of Park Place Lexus (a Baldrige Award small business recipient in 2005), with the severe economic recession in 2008 – 2009. A current client saw the loss of nearly half of his business with the loss of a major customer account. These leaders and others we know actually view these experiences as another reason to be appreciative. They are appreciative of emerging as stronger organizations having weathered the storm. They are appreciative of their employees who stayed with them and the customers who remained committed to them. And they’re appreciative of the lessons they learned that continue to guide them. A few years ago, we had the privilege of hearing John Jacobs, co-founder of Life is Good®, https://www.lifeisgood.com/ speak at a conference. He gave a simple but powerful example of how leaders can shift an organizational culture to one of the appreciations with just substituting one word, “get” instead of “have.” He said that there’s a very different mindset when you say, “We get to work on this project” rather than “We have to work on this project.” “We get to go to a meeting,” rather than “We have to go to a meeting.” The first represents an opportunity or a privilege, while the second is a burden, a chore. 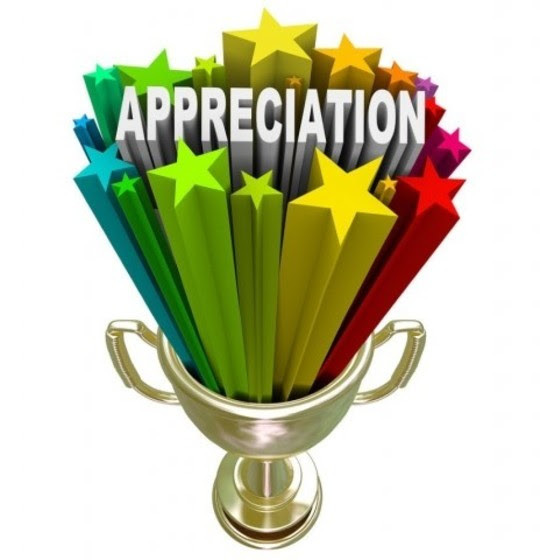 What do you think might happen in your organization if you become more appreciative? Could it become contagious? By the way, I appreciate those of you who take the time to read our monthly “Baldrige blasts” and give us feedback. And I appreciate the leaders who inspire us to continue learning and growing.